This is called “dooring,” and no matter what the driver or even the police tell you, it is the fault of the occupant of the car, not the bicycle rider. “No person shall open a door on a motor vehicle unless it is reasonably safe to do so without interfering with the movement of other traffic, including bicyclists and pedestrians.” In other words, there is no question that it is the fault of the vehicle occupant if they do not look to make sure their path is reasonably clear before opening the door. While the law is clear on this issue, many drivers and even some police officers who do know the law on this issue will try to blame the bicycle rider for not looking out for the door. This is not the way the law works. If this happens to you, do not worry, as your Boston bike injury attorney will be able to help clear up the record with respect to what is the driver’s responsibility or passenger’s responsibility with respect to liability for opening a door into traffic. What is the penalty for dooring a bicycle rider in Boston? Pursuant to the dooring statute listed above, dooring a bicycle rider in Boston is a civil infraction, like most other moving violations, and is punishable by a fine of not more than $100. While it may seem unfair that a driver can open his or her door into traffic causing a bicycle rider to be seriously injured or even killed, the violation can be used to prove negligence in a personal injury lawsuit. How Often Does Dooring Occur in Boston? In our city alone, there are over 1,700 bike accidents each year that result in personal injury. The city puts out reports from time to time. In fact, the city estimates approximately 20 percent of these accidents was the result of dooring. What is negligence per se in a Boston bicycle accident case involving dooring? In any negligence case, plaintiff must establish that the defendant owed a duty of due care to plaintiff. This is a duty to act as a reasonable and prudent person so as to avoid foreseeable injury to foreseeable persons and property. There are a variety of ways to establish a duty of care, but in this case, Chapter 90, Section 14 of the Massachusetts General Laws makes it clear that an occupant of a car owes a duty not to open a door into the path of a bike rider. Not only does this establish the duty of care, it also defines the breach of that duty of care in the same paragraph. Therefore, if an occupant of a vehicle opens a door in the path of a bike rider, they clearly had a duty of due care and violated that duty of care. The remaining elements of a negligence case are that the breach actually and proximately caused the injury to plaintiff and that damages resulted. The last two elements are not usually a problem, but there may be a fight as to the extent of damages. Therefore, if a statute is violated, at common law, this could be used to prove the first two elements of a negligence cause of action. However, the Supreme Judicial Court of Massachusetts, our state supreme court, changed the law of per se negligence in that it is not enough just to show a statute was violated, but you must also show that the harm the statute was intended prevent was in fact the same type of harm that occurred in the case at hand. For example, if a person is driving without car insurance and hits another car causing serious personal injury, the plaintiff could not likely use the lack of insurance to prove defendant negligent per se with respect to any injuries caused in the traffic crash. This is not to say that defendant wasn’t negligent, and plaintiff would still be able to prove negligence, but it would not simply be based upon the fact that a law was violated. The reason is that the law was established to make sure victims could be compensated in a car accident, but it was not put in place to prevent car accidents. In the case of a dooring bike crash injury, the violation of the dooring statute could be used, because the statute was written and passed into law to prevent a bike rider from being injured when the door is opened into traffic. There is a law already in place, as discussed above, that lays out what the penalty is for dooring, but the truth is, many drivers and passengers of cars do not think before opening a door, and that is why this happens so often. For this reason, bike advocacy organizations and individuals are working to educate drivers on being safe around bikers, and one safety measure is to look before opening a door. As we have discussed in other posts on this blog, in Holland, where there is a much larger percentage of the public riding bikes, authorities have been recommending what has become known as using the “Dutch open.” Instead of opening the door with your left hand, where you can let it swing fully open without looking for bike riders, you should open the door with your right hand. 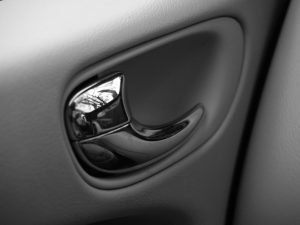 This means you will have to turn your body at the waist and be forced to look back before opening the door, and this method is much safer and can prevent many dooring accidents.